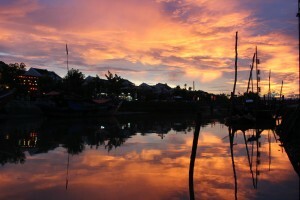 I was supposed to hate Hoi An. 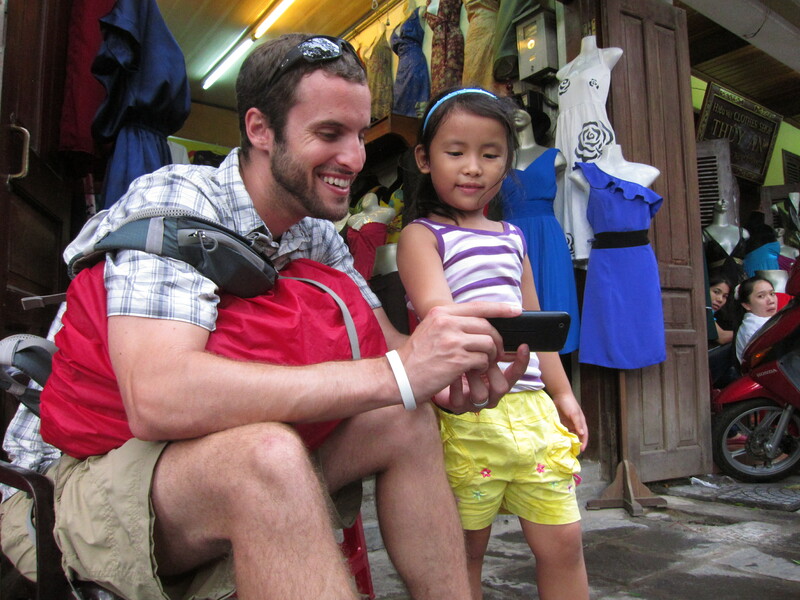 This tiny city on the coast of Vietnam is infested with tourists, has little to see and it’s biggest attraction is shopping or tailoring to be more precise. Sasha had big plans for clothing she wanted to make and begrudgingly I started to look forward to getting my first suit that was made to order and tailored. 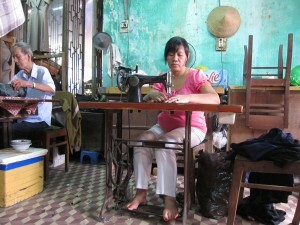 Four days, three suits and seven shirts later my impression of Hoi An is quite different. Between the two of us, we visited five tailors selected based on a combination of friends and Internet research. 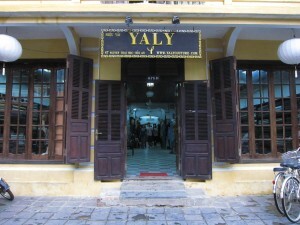 In order of fanciest to cheapest, we visited: Yaly’s, A Dong Silk, Mr. Xe’s, Nana’s and Shop 41. Yaly’s made a mistake on the initial fitting of Sasha’s suit that meant the jacket didn’t even close. Fixing it meant it would leave a a visible set of holes along the seam. But our real beef is they had no intention of fixing it until we really complained. They did fix it in the end. Quality was good, but customer service was atrocious considering they were the most expensive shop in town. They also made two skirts for Sasha with fabric she picked up in Cambodia. A Dong Silk is a slightly less expensive competitor for top shop in town. I believe their quality was equal if not better than Yaly’s and their customer service was the best of all the places we went. I was really happy with the suit I had made and would easily recommend them to someone who doesn’t mind paying a bit more for a top quality suit. 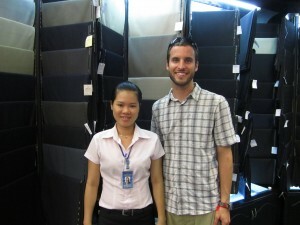 Nhi, from A Dong Silk, gave us the best quality and customer service during our time in Hoi An. Mr. Xe’s was our favorite and deserves a post of his own. Nana was also a huge win. Here’s Sasha’s write up. Shop 41, in the cloth market, was the cheapest of the places we went, but the quality of the fabric and the tailoring suffered as a result. Sasha basically got one shirt for free because it was unwearable. We wouldn’t recommend this one at all. Shop 41 seamstress at work. Our recommendations for getting the best value: do research, diversify where you buy, plan for multiple fittings and request details: lining on pants, piping on jackets, collar stays on shirts, hand-stitching on your jacket sleeves, working arm buttons on coats, and extra buttons. We caught a killer sunset as we drank cocktails on the river one night as well. I ended up really enjoying wandering the old town as we tried to keep up with all our fitting appointments, getting to know suit fabric quality and design, talking to store owners while they made changes and eating delicious meals every day. To be fair, low expectations may have had something to do with it, but we’re chalking up Hoi An as a big win.